How we'll support mindfulness momentum with energy and vision in the new year, from James Gimian, the Executive Director of the Foundation for a Mindful Society. We’re here, it’s the beginning of 2018, and, somehow, it feels like a fresh start. Funny how an artificial construct like the calendar can help us refresh our outlook. That’s also a key element in mindfulness practice. Awareness of breathing makes a fresh start available in every moment. Seems pretty simple but I’m finding it particularly uplifting when all around are invitations to old habits, especially acrimony and blame. Before launching into what we can look for in 2018, I want to start the year by specifically thanking all of you who helped make our end of 2017 funding campaign a success. As a nonprofit, your support is both critical and inspiring. Not only does a successful funding campaign mean that 2017 ended on a high note, but it importantly sets us up to be strong and energized to expand our efforts in 2018. Fresh start. Thank you all! All of these give us an indication of how mindfulness is shaping up in 2018, and what to look for. Mindfulness training is reaching deeper into the community, and its applications are more focused on addressing social challenges. We’ll see innovative offerings that weave mindfulness practices into our lives in novel ways that can address deep habit change. These are critical areas of society where mindfulness has taken root and where mindfulness-based interventions have been shown to produce scalable benefits. How will Mindful fit into that? One way is that we will expand and deepen our content, consulting, and support for those bringing the wide variety of mindfulness practices into education and healthcare. These are critical areas of society where mindfulness has taken root and where mindfulness-based interventions have been shown to produce scalable benefits. We plan on supporting this momentum by creating Mindful content specifically for these communities and finding ways to make it more widely available to those working in the front-lines in our schools and healthcare facilities. In the world of education, that means creating more, and more advanced, mindfulness content for teachers, and making it available to them for free. Teachers are the driving force in bringing mindfulness into education, and they need our support. I recently heard from a leading mindfulness advocate in one of the US’s largest education systems that mindfulness is in 1 out of 4 of their classrooms but there’s no centralized mindfulness program. It’s all coming from the teachers (and principals) who’ve initiative their own training through programs like Mindful Schools, the Momentous Institute, or CARE for Teachers, among others, and then brought mindfulness into their classroom. Part of their challenge is that there’s no money in the school systems for new programs. Schools are under tremendous financial pressure, and when something happens in our schools everyone wants a part of it. We want our initiatives to sidestep these obstacles to bringing benefit to teachers and their classrooms. 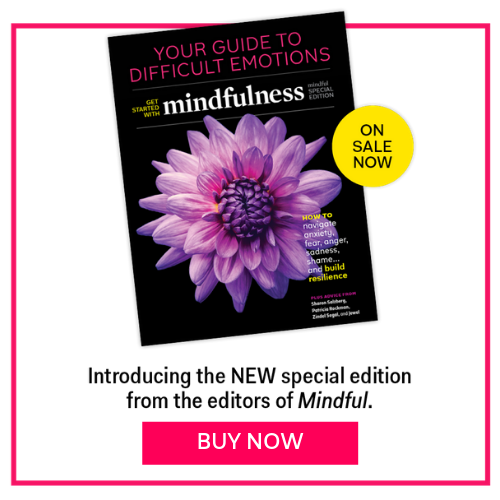 So that’s one major part of our fresh start in 2018: to expand our mindfulness in education initiative to create more free content for teachers and educators, to provide them with mindfulness practices that are easy to integrate into their already busy lives, and material they can use in their classrooms. And we’ll do it by partnering and collaborating with many other for- and nonprofit organizations who share this vision and are doing wonderful work in the field. We’re energized by and committed to this vision. If you’ve got any fresh ideas about how we can work together to help make this happen, let me hear from you. James Gimian is the Executive Director of the Foundation for a Mindful Society, which publishes Mindful magazine and Mindful.org. He’s been active as a writer, teacher, and community builder in the mindfulness world for over 25 years.